We all love to enjoy a nice spa day every once in a while, and Greater Palm Springs has plenty of spas to choose from. While most treatments use ingredients from all over the world, some local spas use ingredients sourced right here in Greater Palm Springs. If you want to pamper yourself while on a girls’ weekend or just need a spa day, these local spas are using some of the best local ingredients. 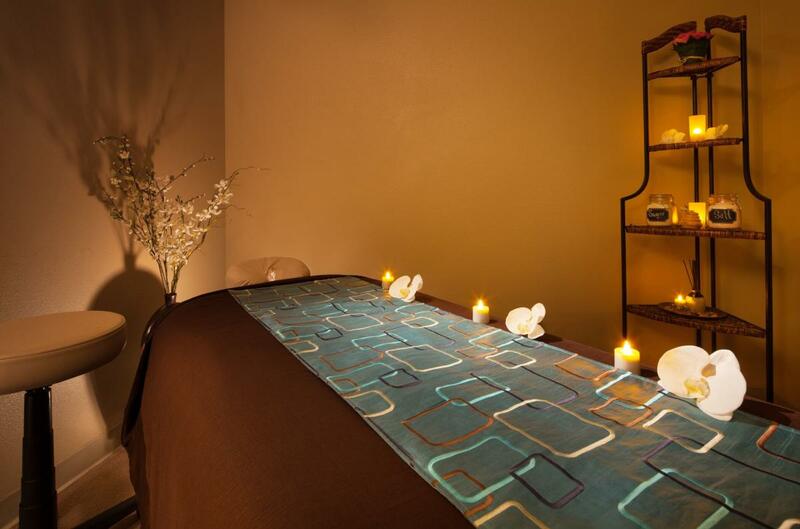 If you’re feeling flush, the Ritz-Carlton Rancho Mirage is a great spa option. Nestled in the Santa Rosa Mountains, the spa offers numerous treatments that incorporate organic, local elements. These include the 100 minute “Spirit of the Mountains” (100 minutes, $340), which uses mineral salts and herbs derived from the desert to ‘enhance calmness and serenity’. There’s also the “Sec-He Rock Ritual,” (100 minutes, $300) which is inspired by native tribes and uses resources from the nearby mineral baths to bring a sensation of peace. Sec-He means “boiling water,” and this treatment originates from the traditions of the Cahuilla Indians, who valued the healing properties of the region’s mineral baths almost as much as the region’s natural rock resources. The Ritz also offers specialized spa services for men, too. The Spa at Westin Mission Hills Golf Resort & Spa offers a unique twist to the typical spa menu. The resort has had a bee apiary on site for several years and uses the honey for everything from recipes at the restaurant to spa treatments. 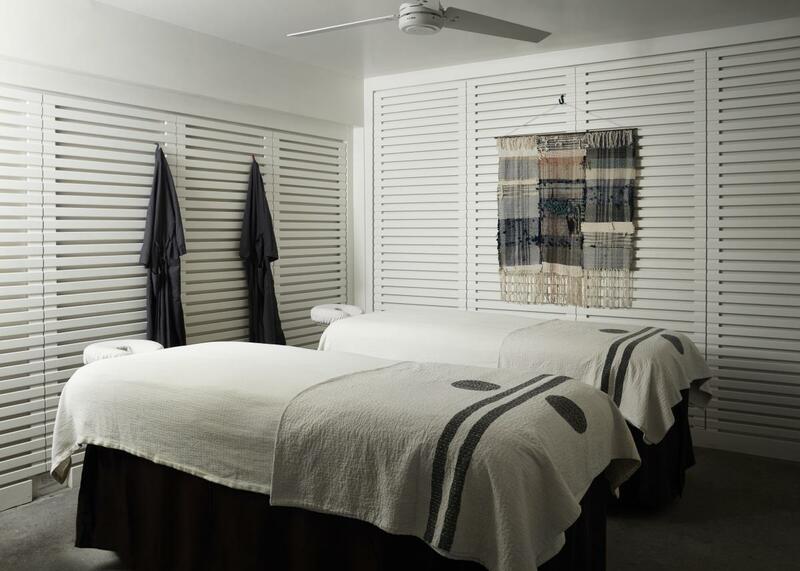 The spa’s Bee Pampered options include a Honey Massage ($185), which uses warm beeswax along the spine, as well as a Honey from Heaven hand and foot treatment ($75), a Honey Lavender Sugar Scrub ($125), and a Honey Hydration Wrap ($185). The spa also has a take home options for these treatments, including a custom “blend a honey” body polish. We Care Spa is a soothing, holistic-centered spa that’s become a favorite with locals. The spa has a $45 Palm Springs Peel that can be added on to any facial. Using locally grown organic dates, this peel is packed with acids that remove dead skin, plus antioxidants and vitamins that “rejuvenate” it. At the end of the peel, a cooling cactus gel is placed on the face and jade stone rollers are used to make the skin firm so you look and feel great. The Hyatt Regency Indian Wells Resort and Spa is home to the Agua Serena Spa, where guests can enjoy massages as well as face and body treatments. This includes the Cactus and Date Scrub ($165, 50 minutes/$210, 80 minutes), which blends locally sourced Nopal cactus and Medjool dates with juniper and sage to heal the skin and make it glow. The treatment is followed up with a unique cactus and date moisturizer. Known for having a very calm and tranquil vibe, The Spring Resort and Spa is a great place to stay as well as to get an unforgettable spa experience. The spa offers a sauna, massages, facials, body treatments, manicures and pedicures, and more. If you’re looking for something unique to the area, the spa offers a $75, 30-minute Aloe Scalp and Hair Therapy, which uses aloe sourced on-site in the resort’s small aloe garden. The aloe is cut right before the treatment, meaning it is at its most potent when it’s used in your treatment. The aloe spread all around the scalp is said to increase circulation and make your hair shine. At the end, the spa uses a special conditioner to enhance the effects of the aloe. Bliss! Similar to the scalp and hair therapy found at The Spring Resort and Spa, the Feel Good Spa at grows its own aloe for its own gentle Palm Springs Peel, which is a facial rejuvenation that gives the skin a beautiful glow (1 hour for $145 or 90 minutes for $195). The spa also offers a $140, 60-minute Aloe Wrap to moisten and cool the skin. The Andreas Hotel and Spa uses clay from the southwest desert to nourish the body and awaken the circulatory system in its Canyon Clay Body Mask ($115). The desert clay is mixed with aromatics like ginger and turmeric which also help to tone the skin. This treatment also includes a scalp and foot rub. The spa also offers a $160 Desert Oasis spa package which includes the aforementioned Canyon Clay Body Mask paired with a 30-minute massage. As you can see, there is no shortage of specialized local treatments at spas in Greater Palm Springs. Now you can enjoy not just a relaxing stay, but unique local relaxation. If you&apos;re looking for more ways to live your Wellest, learn more about spas, health & wellness in Greater Palm Springs. Erin Lawrence is a journalist, TV producer, and researcher with a passion for architecture that drew her to the desert starting when she was a teen. With a love of storytelling and a knack for seeking out the unusual, Erin is always looking for new things about Greater Palm Springs to share with the world. Named one of the Top 40 Under 40, and the recipient of two Edward R Murrow awards in her professional career, in her off hours, Erin loves traveling, reviewing technology, and learning more about art and architecture. Find her at PalmSpringsTraveller.com or ModernToursPalmSprings.com.